What is the River District? The River District will be a 1400-acre master planned community that embraces its natural resources, features, dramatic topography, preserved tree canopy, and open space as principle organizing elements. 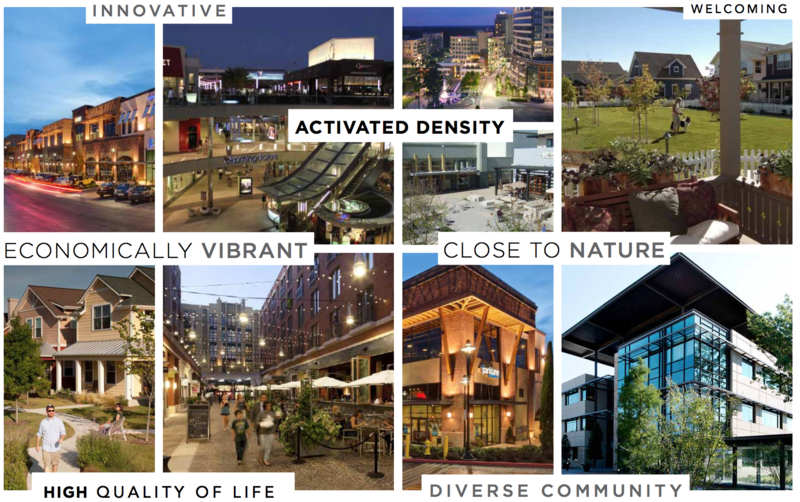 River District will be a vibrant and diverse community that fosters unprecedented economic vitality, offering a full spectrum of residential and commercial opportunities surrounded by hundreds of acres of preserved open space. Unlike anywhere else in Charlotte, the unique location captures the natural beauty that extends from the Catawba River while maximizing the convenience of proximity to the global reach of Charlotte-Douglas International Airport. 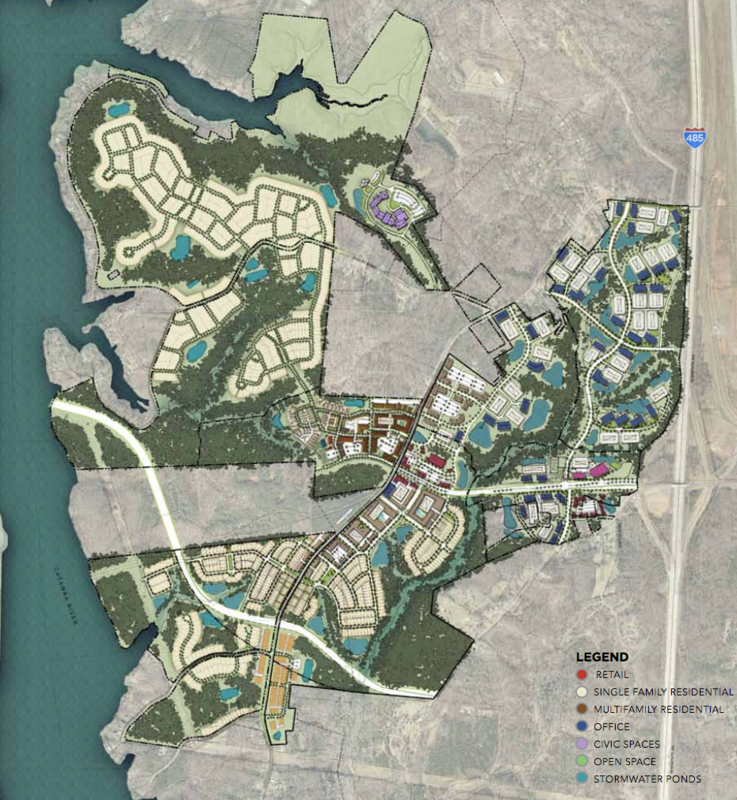 Located on a huge tract of undeveloped land west of the airport between 485 and Lake Wylie, north of Berewick and south of Wilkinson Blvd. The existing Dixie River Rd. will run through the heart of the new River District. Who is building the River District? 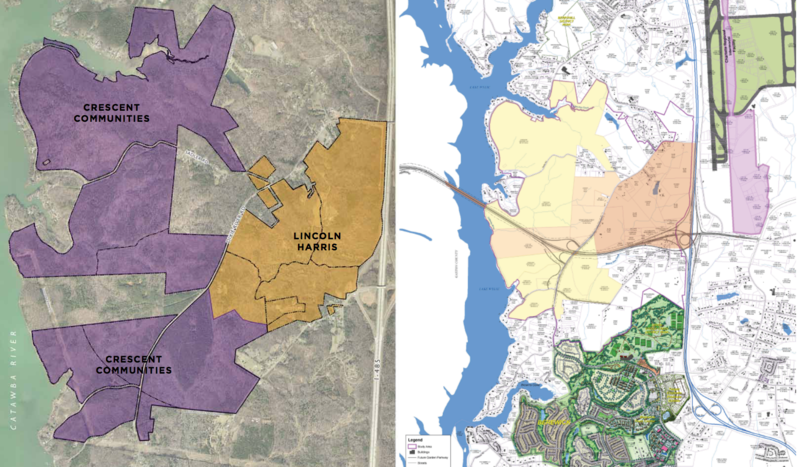 The River District development is a partnership between Crescent Communities, Lincoln Harris, and LandDesign. When will the construction start? Infrastructure construction (water, sewer, roads) will start in the middle part of 2018. Homes will be sprouting up in later parts of 2019, with homes hitting the market in early 2020. Rumor has it, one of the first thing they will build is a community ‘farm’ area where the future plan is a place where locals can come and create sustainable gardens, etc. This area will also be anchored by a local brewery! What will be in the River District? As you can see by the graphic, there will be around 4,650 new residential homes (either multi-family or single family homes). The 8 million sq ft of office space is a huge amount of office space, but it has been reported that the River District is heavy targeting Amazon’s 2nd headquarters in this location! That would be huge! NOTE: 40% of the 1400-acres of the River District will be open space, trails, greenways, tree canopy, etc. For comparison, the River District will be massive. Larger than Ballantyne. Here is a graphic to show the scale of the development. 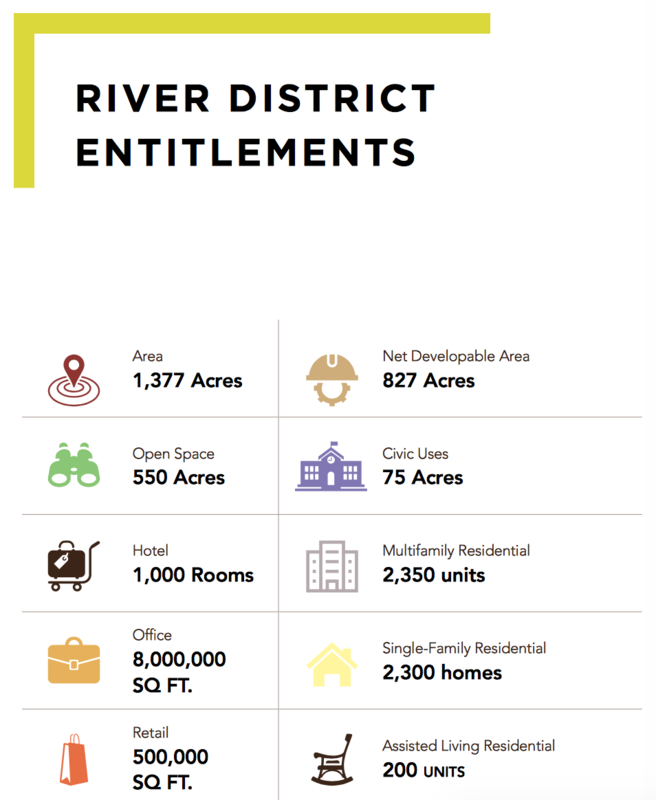 Lastly, I wanted to share another interesting graphic that shows a snapshot of the economic impact of the new River District. Be in the know around Lake Wylie: Join our Newsletter! Whether you are a local Lake Wylie resident or someone wanting to move on or around Lake Wylie, you should sign up for our newsletter. We will send out useful newsletters, not junky stuff! We won't bombard you with emails either. Max we will send two newsletters a month.